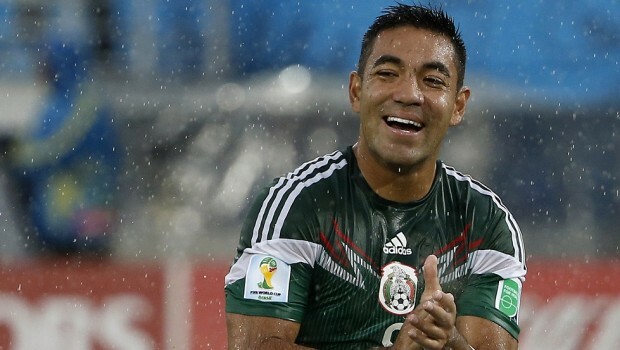 Marco Fabian’s career seemed to have stalled after returning to Chivas Guadalajara. Fabian had reluctantly returned to his home-team, after playing on-loan with Cruz Azul, to help save the club from relegation. Being a product of Chivas youth academy should have been reason enough to help the club in it’s time of need but Fabian’s relationship with the institution had been tarnished to the point that he conditioned his return with a contract stipulation that would facilitate a transfer from abroad. “Since the moment I found out of the possibility of going to Eintracht Frankfurt I felt joy, and now (that the transfer is complete) even more so,” admitted Fabian in an interview with ESTO before boarding his flight to Germany. For Fabian his move to the Bundesliga is not just a sight of relief but a second chance to prove his worth. Once viewed as one of Liga MX’s most promising players Fabian had fallen to the wayside soon after winning gold at the 2012 London Olympics with the Mexican national team. Enjoying his success with the Tricolor Fabian had set his sights in Europe but Chivas owner Jorge Vergara was intent on rebuilding the club around the skillful midfielder. Vergara’s insistence that he would only sell Fabian once he lead the club to a league title only served to alienate the player instead of motivating him. Fabian’s lack of determination and discipline soon showed as he begun making headlines for his boozing and womanizing instead of his displays of brilliance with a football. Whether or not Fabian’s joy for the game has returned remains to be seen but one thing is for certain he is determined to succeed. “I am not afraid, on the contrary, I have the confidence of doing the right things. I’ve started the year on good terms and God willing I can end it the same way,” added Fabian who is not worried about language barriers. “I have dreams, not nightmares, and I visualize myself the best way possible, triumphant. I will try to help the team, I’m not worried about the language because I speak my language with the ball, the same one I have an understanding with, and I repeat, I’m think about transcending,” finalized Fabian who now has the opportunity he had always wanted.